Happy Quilting: Welcome Studio Kat Designs and a Giveaway!!! What great bag patterns! my favourite is the Carolina Carryall! I like a bag that can get everything in! 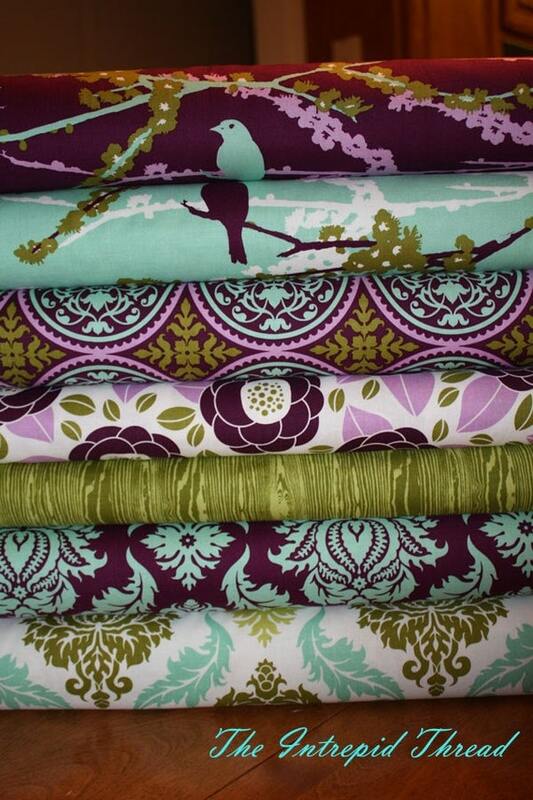 I now follow Studio Kat's blog"
Lots of great patterns at Studio Kat Designs! I really love the Boho Baguette pattern - that's the bag that would be for my lifestyle. I have signed up to follow via email and I signed up for her newsletter as well. Thanks for the great introduction. Actually the PortaPocket Purse Insert is perfect for me, because I collect home-made and store-bought bags, but I usually pick the one in the morning Taft I used the day before because I hate to swap the contents. This would solve my problem! Thanks for the chance to win. The odyssey would work well for me. There are a lot of great bags there. The kits are great as well. Wow - great purses. The Carolina Carryall is my kind of purse. Roomy yet classy! Thanks for the chance. The Carolina Carry-All! I'm always carrying knitting project bags with me, and this would be wonderful! What a great give-away. Thanks so much. I like the bagalista. Very cute patterns. I NEED THE SIDEKICK!!! and animal print to boot! OK I am on my way over to see her!! It can only get better from here!!! I am now getting her posts and you nave gotten me in big trouble Mrs.!!! LOL!! I absolutely love The Quattro...pockets, pockets, pockets! I am now following the blog by email. I already receive the newsletter. Oh so hard to choose!!! I really love the Trifecta. Thank you for the giveaway and introducing me to this wonderful blog! I love Studio Kat's designs! For me, the Quattro is perfect with outside pockets for phone, keys, shopping list, and lots of room inside to throw in the wallet, makeup bag and hairbrush. Great for quick runs to the grocery/fabric store. I get the Studio Kat newsletter and follow her blog, too. She has this great monthly contest for those who make a bag from one of her patterns. It's fun to see what others create and to vote on a favorite. I am following the Studio Kat Design blog. They are all so great! I especially like the Carolina carry-all and the baggalista. Thanks! I loves the Quattro bag.. Cute. I follow the Studio Kat Designs blog. I follow Studio Kat Design's blog. Thank you! I like the Harmony handbag. the Carolina Carryall would be great! once grandkids are moved out, I should have time to sew again, and get reaquainted with my embroidery module. I love the designs on your bags. Inspiration for sure! I really like the Boho Baguette and the Quattro and I like the Harmony..sorry can't just pick one! I LOVE her patterns. I love the porta purse. It makes changing purses soooo easy! I think that the Trifecta handbag looks pretty great, although all of the patterns offered seem like really good bags! I just love the Carolina CarryAll. They are all very pretty patterns. I would like to make the Odyssey bag. It would be great for traveling. The Reuse a bag pattern would be me to a tee! thanks for the giveaway! I'm a new follower of Studio Kat's blog. I'm all about pockets so the Quattro would be my choice! I am following Studio Kat Designs! I would be so happy to have the Sidekick bag!! SO cute! The "The Gadabout" looks like one my wife would like. I am now a follower of Studio Kat Designs. Really like the Encore purse insert.....that is SUCH a cool idea! I'm a new follower of Studio Kat! Great looks! The Purse Pockets is EXACTLY what I need! Would love to win it! I'd be hard-pressed to choose the best bag for me, they're all super-cute and I'd want to make all of them, honestly. However, the purse insert...oh that lovely insert, with clever pockets to help me find my money and keys without dumping everything out on the counter...I NEED THAT!!! LOL! I like the Bellagio Bag the best...and I really like the passport carrier. I like the Baggalista. She has wonderful patterns! I already have the Ditty Roo pattern and it rocks! Great patterns. Got to be the trifecta for me. I'm now a Studio Kati follower. The Gadabout bag would be perfect for me! I love the interior pockets. Thanks for the giveaway! The like the DittyRoo...love the shape! And I'm not following Studio Kat! Yay! I follow Studio Kat's blog. What lovely bags, I haven't seen this site before. The PortaPockets insert would be so useful as I hate scrabbling around in my bag. I really like the DittyRoo bag. I can just see it in denim blue, or black and white patterned fabric. I really like the PortaPockets Purse insert. and I just became a follower of KAT! I love the Gadabout bag! Love the Dittyroo, it has access to keys in the corner pockets, and it's so cute! lots of cute bags over there - my favorite would have to be the Gadabout. Perfect for me! Happily following Studio Kat blog now too! Thanks for introducing me to these great patterns. And I would choose the trifecta - all those roomy pockets! Love it! I am a new follower of Studio Kat's blog. I like the Presto purse the best, and love those inserts! I love the sidekick the best. but I do like the "bagalista"
I love the Odyssey purse...I have a thing about backpack purses!! I think the Bagalista is amazing. Thanks for the chance to win. I'm now a follower of Studio Kat's blog. I've visited her web site many times. I love the sidekick - organizer bags are so practical and fun! I have become a follower of Kat's blog. My favourite pattern is the airport organizer!!! !, brilliant idea!. I absolutely love The Odyssey pattern! I am following Studio Kat's blog. Kat certainly has some lovely designs. I think the one that would suit me best would be the Tandem Tote. I love the sidekick, it's the sort of styling I love and looks like it would fit everything I use. I've just started following her blog by email. I am following!!! Thanks so much for the opportunity!! My daughters would love the Dittyroo....and I'd be the cool mom who made them! both inserts, The Carolina, The Sidekick, The Quattro, oh, geez...One of each? LOL...Thanks for the opportunity!!! I love the Carolina Carryall. It's a little boho, which I love, and it has all those wonderful pockets for all my stuff. Thanks for chance to win! I'm already a follower of Studio Kat's blog. thanks for the chance to win. The Porta-Pockets Purse Insert is my favorite pattern on the Studio Kat Designs website. Thanks for the great giveaway. LOTS of great bags! My favorite is the Boho Baguette! I can imagine it in so many prints! I am a new follower of Studio Kat Designs' blog! The porta pockets purse insert would be PERFECT for me as I like to change my handbag often - this would make it so much easier and keep me organised! I follow at Studio Kat Design. Great bags. Love the Boho. Thanks for doing this. I've always liked the Quattro bag. I am now a follower of StudioKat Designs blog. Thought I already was, but that was just for their newsletter. I love The Trifecta. It is one I have made a couple of times. I am a follower of StudioKat Designs. The Baggalista is for me. Adjustable strap and not too bulky, like an invisible helper, so I can be hands free. I am subscribed to the Studio Kat Designs blog via email. As the local "bag lady" I am so happy you introduced us to Studio Kat Designs! I like the Mezza Luna bag the best, but her purse organizer inserts run a close second. I just signed up for her blog updates too. Can't wait to see what she has in store! Thanks again for introducing us! I love the Quatro bag. I follow Studio Kat Designs. I am a follower, and I love this post! Thank you for the chance to win. Several of them appeal to me, but I think I have to say the one that suits me best is probably Mezza Luna. I love all the different looks it can have just by altering the fabrics used. The Versalise looks so inviting. Thanks. now I could use that purse insert! Definitely the Quattro. Love the bag!!! I love the PortaPockets Purse Insert, such a great design & would work so well in my many big bags where it is impossible to find anything. Thanks for a fab giveaway. I follow Studio Kat Designs, thanks. Love the Gadabout bag design! The Boho Baguette Pattern fits me the best. I love Studio Kat patterns. I have made the purse insert so many times that I can probably make it by memory. Thanks for the chance to win some purse patterns. I have been a follower of Studio Kat for a very long time. The Carolina Carryall is my fav....wish I could find that exact fabric and make one....it's fabulous! Although I like the Sidekick pattern I would love an use the Gadabout bag everyday to hold everything to keep me organised and keep my two smalls happy. The Carolina CarryAll with the 2 pouch pockets would be ideal for me. Thanks for the great giveaway! I think the Bellagio bag would be perfect for me. I follow the StudioKat blog by email. I really love the Trifecta because of all those compartments inside. I already follow Studio Kat's blog and am an email subscriber as well. My favorite bag is the Quattro. I already have fabric put away to make it. I just need the pattern. I have made 2 of the Portapockets and just love them! I have followed the Studio Kat Blog for quite some time. I like The Quattro. I think it's stylish and I can have my stuff all in! Thanks for the chance to win the pattern! I'm following Studio Kat now. cool site! I have been a follower for awhile. She has a wonderful newsletter. I love all her patterns. The carry-all is pretty cool as we approach travel season. My favorite is The Gadabout! Thank you! I am an old follower of StudioKat! Have to say the Gadabout is my favourite, but that was hard to choose as there are so many wonderful ones. I'd love the Quattro with an Encore Purse Insert. I really like the Quattro bag. I am already a follower of StudioKat. Great patterns! I'd say my favorite is the Quattro. Thanks for the chance to win! I think that my favorite is the Carolina Carryall! Or the Quattro. Or the Sidekick-- So hard to choose! I'm a follower of StudioKat! I'm thinking the sidekick because I like a small purse to take mostly just essentials. I already subscribe to that great site! I love her bags. I don't own a pattern of my own yet, but I will. I enjoy the contests; the different interpretations of her patterns are great idea starters. Wow how to choose! Think I'd go with the Trifecta. I love compartments!! I like the Dittyroo. Would be fun to play with the fabric on that one. I've checked out her patterns many times, I really need to order a couple! My faves are Ditty Roo (as much for the name as the style), Boho (love the curved top) and maybe the Harmony. 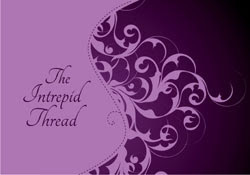 I'm Following Studio kat via email of her blog posts. Alot of neat purses at Studio Kat Designs. I'm loving the DiddyRoo and the Tandem Tote. Also the purse inserts! Thank you and Studio Kat Designs for a generous giveaway and a chance to win. I'm a follower of Studio Kat Design's blog.